Why isn’t Sega working on the hardware themselves? It seems that Sega is finally understanding that retro gaming is a bit deal. With Nintendo making big bank with both of their Nintendo Entertainment System Classic and Super Nintendo Entertainment Classics, I’m inclined to agree. Those things have been constantly out of stock, I know first hand. While I’m happy to see that Sega is taking advantage of this with their recent announcement of the Mega Drive Mini. I’m also a bit disappointed by them. Why? Well, they are going with a company known as AtGames. The very same company who had been releasing cheap Sega Mega Drive/Genesis retro machines for years. You know the ones I’m talking about. They’re normally sitting on the shelves at various Walmart, Target and other stores that carry electronic toys. They’re also not very good. Made up of cheap plastic, they’re riddled with issues such as games with tons of frame rate drop. Poor sound emulation. Terrible user interface. Controllers that don’t input correctly, just to name a few. It wasn’t even until recently that their offerings included an HDMI output. Something that the NES/SNES variants do. I once upon a time fell into the trap into picking up one for my wife. The Sega Genesis Flashback console is what I picked up. Which lasted about 30 minutes before I packaged it up and promptly returned it. I’m definitely not a fan of these systems. Yet, Sega in their infinite wisdom has decided to partner up with the very same company for their official Sega Mega Drive Mini. WTF, Sega? Even worse is that Sega isn’t even working on the hardware and will instead let AtGames use their own hardware. Which begs the to ask, why even partner up? We’re likely going to get the very same hardware that we’ve already received in the past. Sega had mentioned they wanted to get back into the hardware business, but this move confuses me. How is this getting into the hardware business if Sega isn’t directly working on the Sega Mega Drive mini? I liked how Nintendo got involved in theirs directly. They didn’t outsource the job and ensured that the NES/SNES emulator jobs were fairly decent. With Sega’s endeavor, I’m not really liking this move. Not at all. AtGames has already shown that their products aren’t up to snuff. At least for some-what serious and even the casual gamer. So forgive me if I’m skeptical about this recent announcement. Now there’s definitely a chance that AtGames and Sega could totally knock this out of the park.Which I really hope is the case, as I love Sega. 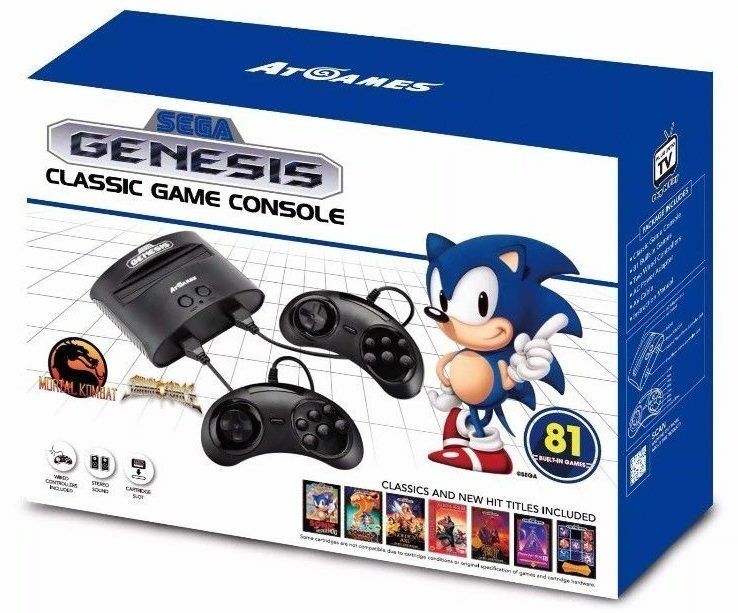 While most of my friends were Nintendo gamers, my Sega Genesis was an amazing experience. I loved the Phantasy Star games (NEI!!! ), Altered Beast, Sonic, Forgotten Worlds and many others. They just had a charm that many Nintendo games didn’t have. Plus their arcade ports were really faithful. I’d love to give that experience to my children and keep them off my expensive toys. But they’re not dumb, they know if I try to pawn off a crappy piece of tech to them. A decent user interface. All of the AtGames interfaces are ugly and slow. Better materials. The AtGames consoles are known for their terrible build quality. This can’t be a thing for the Mega Drive Mini. And most importantly, please, please, please don’t skimp out on the hardware. We don’t want to play a game with frame rate drops everywhere. That goes double for the sound chip being used. 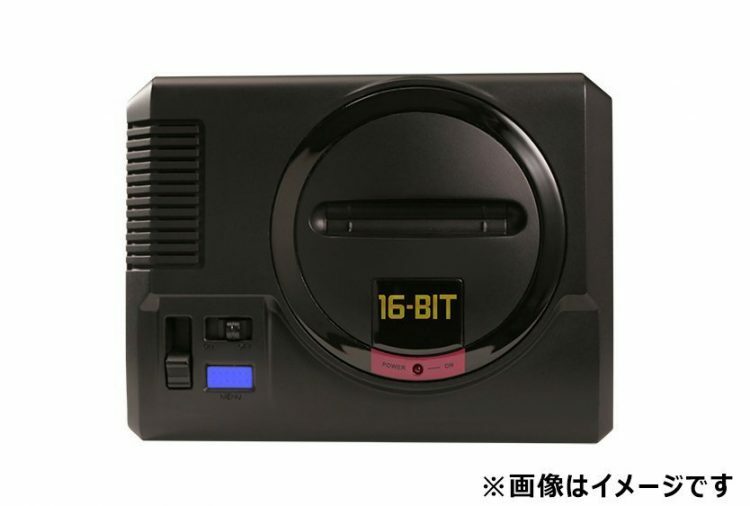 What do you think about AtGames working on the Mega Drive Mini and eventual Genesis Mini? Sound off in the comments, we wanna know!